Award-winning accountancy and tax software, designed for accountants and built in the cloud. 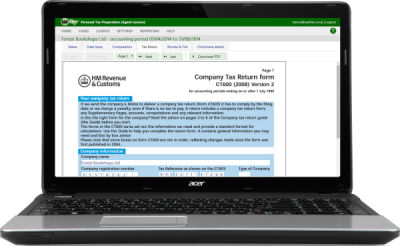 Taxfiler is a cloud solution for preparing and filing accounts, tax and MTD VAT returns. A single monthly subscription enables accountants to submit statutory accounts and tax returns for companies, partnerships, individuals and trusts. Taxfiler was announced the winner of ‘Accounts Production Software of the year’ at this years’ Accountancy Excellence Software Awards held in London. We would like to say a big thank you to everyone that voted for us! Announcement: Taxfiler Limited has been acquired by IRIS Software Group. Taxfiler is a powerful cloud suite used by thousands of accountancy practices. Delivering the compliance functionality that firms need, at a price they can afford. Taxfiler delivers all the functions of traditional desktop tax software through powerful cloud servers, ensuring a quality user experience from anywhere. Quickly and easily prepare final accounts from trial balance stage, using simple manual entry or importing figures from bookkeeping software. Add notes and disclosures which will be numbered and tagged correctly. Transfer the balances seamlessly from the completed accounts to the tax return, saving time and avoiding errors. Submit iXBRL-tagged abbreviated accounts directly to Companies House at the click of a button. Includes full support for small companies, micro-entities, sole-traders and partnerships. Updated for FRS 102 and FRS 105. Quickly complete the correct forms for any accounting period. Long periods of account can be apportioned automatically across multiple accounting periods. Generate fully-tagged iXBRL computations, complete with Capital Allowances, Chargeable Gains (including calculation of indexation) and Research & Development tax credits. Include any required supplementary forms including Participator Loans, Group Relief and Charities. Upload PDF attachments to be submitted with the tax return. Submit the tax return directly to HMRC using your agent credentials. Use simple data input screens to prepare the main tax return and all supplementary forms. Transfer trade accounts directly from Taxfiler accounts preparation or import from external software. Use the built-in calculators to help with capital allowances, chargeable gains, averaging etc. Produce detailed schedules and computations, and upload additional attachments in PDF format. Review the tax return and prepare it for filing. Once approved by the client the return can be submitted directly to HMRC using your agent credentials, and the submission receipt will be stored as proof of filing. Enter details of partnership income using our straight-forward data input screens. Transfer the profit and loss account and balance sheet directly from Taxfiler accounts preparation, or import from external bookkeeping software. Allocating profits to partners is simple, and you can link to each partner's individual record so the data is seamlessly updated to their own personal tax return. The partnership tax return can be submitted directly to HMRC using your agent credentials, and the submission receipt will be stored as proof of filing. Select from a variety of trust types including charitable and non-resident trusts. Entering details of trust income and allowable expenditure is quick and easy, and you can also input details of beneficiaries and any discretionary payments made. Taxfiler will calculate the tax payable by the trust, including any tax due on discretionary payments, and will also perform the necessary tax pool calculations. The tax return can be submitted directly to HMRC using your agent credentials, and the submission receipt will be stored as proof of filing. Taxfiler will also generate R185 forms containing the details of trust payments, and these can be distributed to beneficiaries as required. 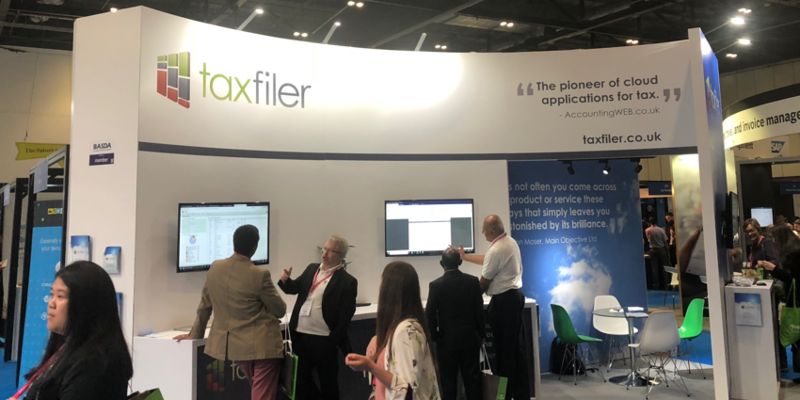 Our demonstration site works almost identically to our live site and you are welcome to see for yourself how Taxfiler can work for you. We think that you will find Taxfiler easy to use and that you will be able to get started with no problems. There is a lot of information in our Help Centre and if you do have any questions then our friendly support team are on hand. Just drop us an email and we'll usually respond right away. When you sign-up to Taxfiler there are no long term contracts and no setup fees. Just choose the plan that is right for you and get started. You can upgrade your plan at any time. These monthly plans are for agents. To file a single tax return for an individual, partnership or trust, see our site for non-accountants. Click here. Prices quoted exclude VAT. Subscriptions are payable by monthly direct debit or PayPal. If you are tied into a contract with your current tax software supplier, switch to Taxfiler and enjoy 3 months free trial period. Export key information from your existing software and you can easily import your existing client list to Taxfiler. This includes names, addresses, UTRs etc. Import clients all at once or in batches as it suits you. If you need a more comprehensive data conversion we may be able to help. Please get in touch and tell us what you need. Taxfiler can now transfer data seamlessly from QuickBooks Online to make the preparation of accounts even easier. Spend less. Do more. Switch to Taxfiler.